The outgoing commander of the British contingent in Afghanistan says a military victory over the Taleban was ‘neither feasible nor supportable’. “What we need is sufficient troops to contain the insurgency to a level where it is not a strategic threat to the longevity of the elected government,” he told the Times newspaper. The pessimistic comment comes after a leaked cable by Francois Fitou, the Deputy French Ambassador in Kabul, claiming that the British Ambassador to the country, Sir Sherard Cowper-Coles, had told him the strategy for Afghanistan was ‘doomed to failure’. In the cable the French diplomat quoted Sir Sherard as saying: “The security situation is getting worse, so is corruption and the government has lost all trust”. The Taliban is an Islamic insurgency movement controlling a considerable part of Afghanistan and fighting guerrilla war against the Afghan government and NATO troops stationed there. It received financial support from the U.S. and several other countries during the Soviet troops’ presence in the 1980s. 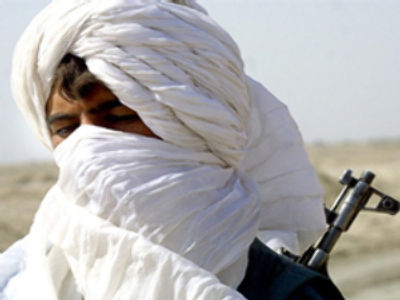 Following a seven-year civil war that followed Soviet withdrawal the Taliban took control of the country only to be overthrown in 2001 by U.S. forces following the 9/11 terror attacks.